In the drop-down menu under ‘Sony HXR NX30’ in the navigation menu you will find all the original articles I wrote on the Sony HXR NX30, each with samples of the camera in action during my initial tests and trials with the camera. Does anybody know where I can still find a (used or new) NX30 (PAL)? Seems that even ebay ran completely out of stock. have you heard about any news regarding to why sony stop the nx30 production line? and why there’s no successor of the nx30? are they planning to stop making the small-professional camcorder? thanks! Most people tend to think the PXW X70 is its successor, though that’s not official. Not that much more in terms of cost, stabilisation is just as good, same features as NX30 and more, 4K upgradeable, larger sensor, 2 card slots, ND filters built-in, much easier to access manual modes. No option for switching to stills, but that shouldn’t be of much concern to videographers. Masoud, FCPX automatically imports AVCHD files from the NX30. If you are running on FCP 7, I can only suggest to upgrade to FCPX. If you do have FCPX, write me again and tell me what problem you are having, because you shouldn’t be having a problem at all. 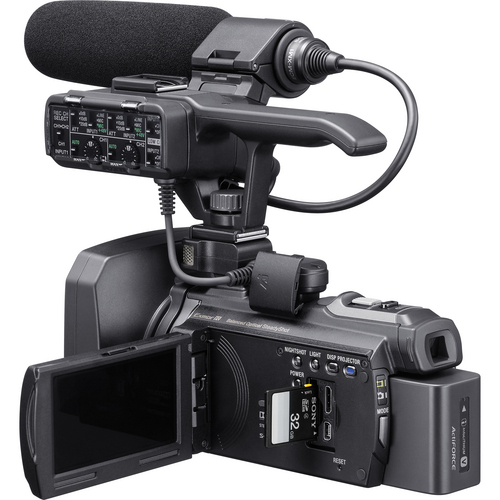 What is the difference between the SONY 96GB HXR-NX30 and the model followed by the letter U: SONY 96GB HXR-NX30U? They’re all the same. The letter designation indicates mainly whether they are NTSC (eg US) or PAL (eg Europe). I think ‘U’ is the european PAL version. At any rate, if you buy it in the country you are in, you’ll get the right one. I bought a nx30 (PAL) and I realized that it does only make M2TS format and it is very awkward to convert many footages to mov format (I own already a converter but it takes it’s time 😦 ) Can you tell me the best way to make the footages out of nx30 ready for FCP please?